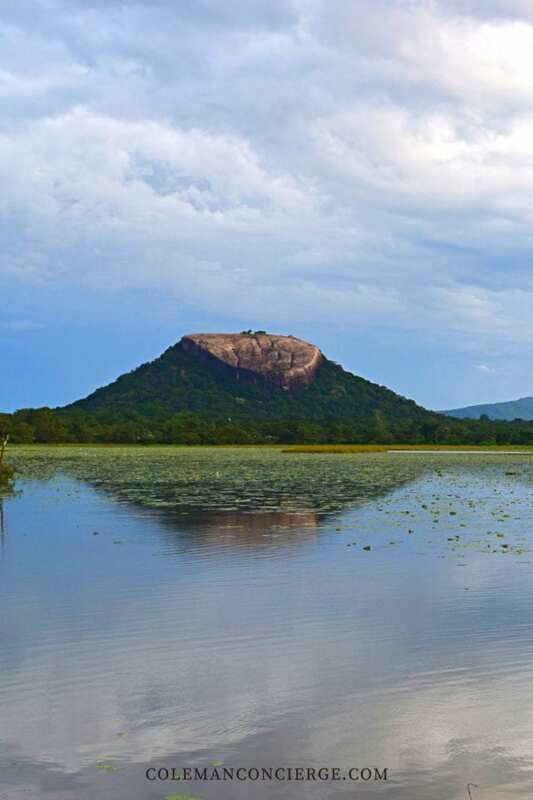 Pidurangala Rock mirrors the more famous and popular Sigiriya Rock in so many ways. 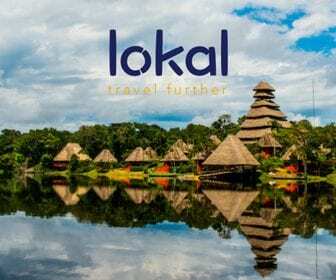 They are both volcanic hills rising out of the Sri Lankan jungle, and they are both richly steeped in history. 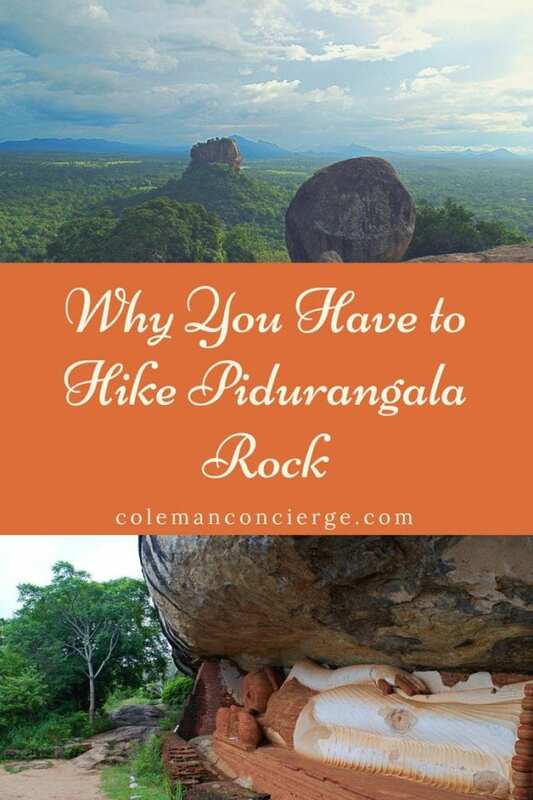 Pidurangala Rock is only a 20-minute walk from Sigiriya Rock and costs about $3 USD to enter. What’s more, in my opinion, the view from the top of Pidurangala is more impressive than Sigiriya. 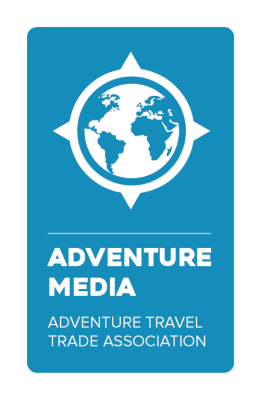 Climbing Pidurangala Rock completes the history of King Kasyapas’ reign, offers a chance to explore a more natural setting, visit cave temples, see what was once the largest brick reclining Buddha in the world, and experience history without the crowds. It could be the best $3 you have ever spent, and only takes about 2 hours to complete. A visit to Pidurangala Rock starts at the ticket counter located at the bottom of the hill. You pay a nominal entrance fee and pass into the grounds. A very well-maintained staircase takes you to Pidurangala Sigiri Rajamaha Viharaya, a white temple just up from the ticket office. 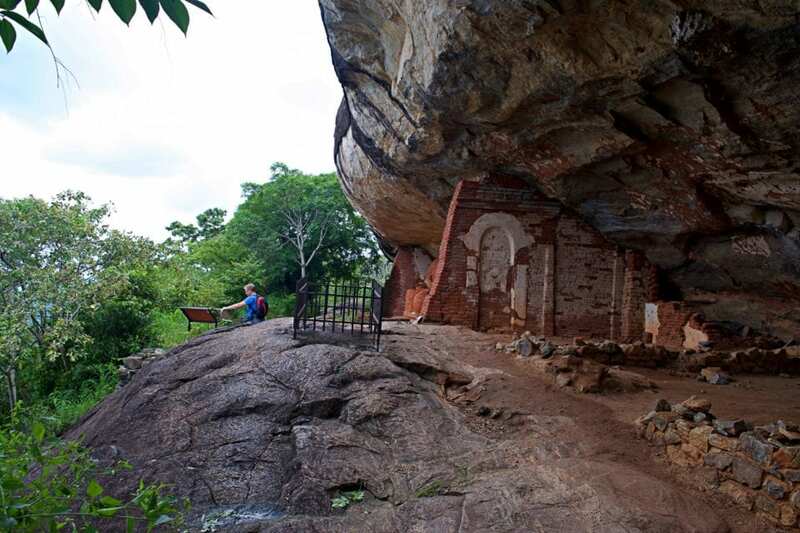 The building was constructed in the 1930’s, but it protects cave paintings that date back thousands of years, much like a smaller version of the Dambulla Cave Temple. This is an active religious site, so women are requested to wear appropriate temple garments and cover their shoulders and knees. 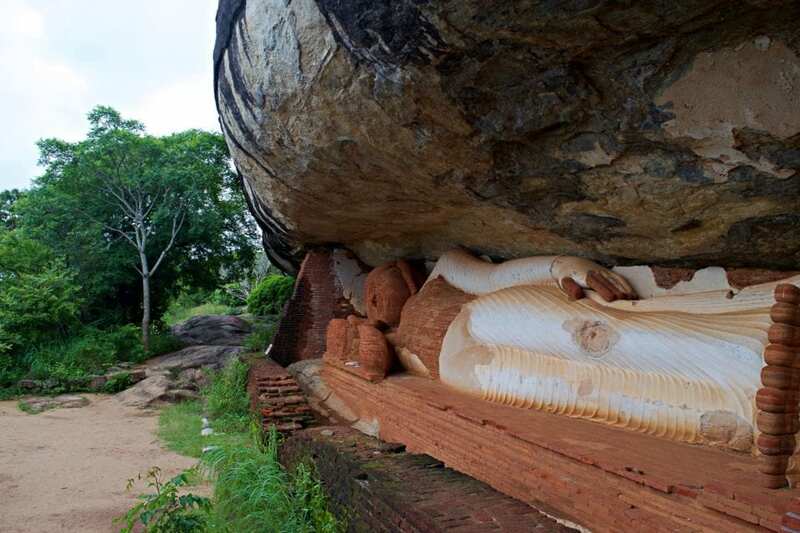 The trail up Pidurangala Rock challenges you more than climbing Sigiriya Rock, so having a coverup that you can remove after you leave the lower temple is a great idea. The temple at Pidurangala Rock consisted of five buildings: a stupa, a shrine room, a bodhigara or house around a Bodhi tree, a gathering hall, and a preaching hall. This description seems to fit the archeological site at the base of Pidurangala Rock better than the cave paintings or the reclining Buddha you’ll see further up the climb. I have read descriptions on the web attributing Pidurangala Temple to any one of these three locations. Regardless, it’s not very often you get to see thousand-year-old cave painting and well worth a visit on the way up Pidurangala. Nerd warning ahead… I’m going to geek out for just a little but don’t worry. It will pass. Grammarly says this entire piece takes less than 6 minutes to read anyway. 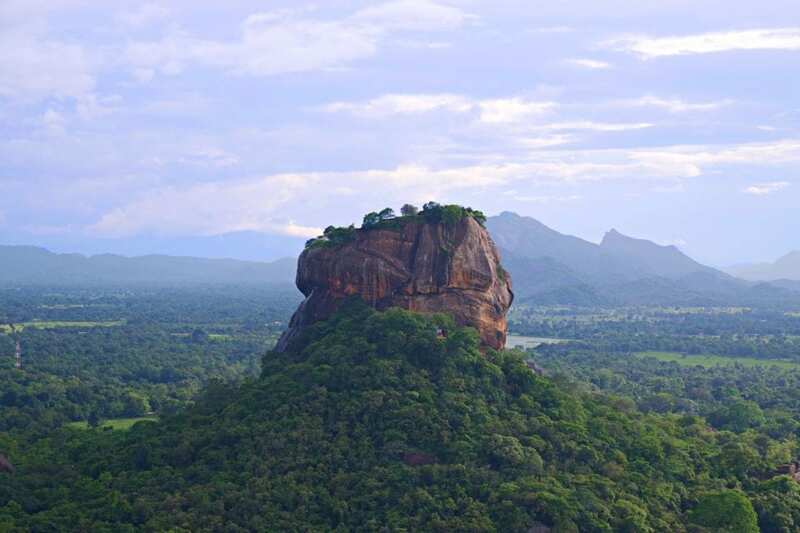 Visiting Pidurangala Rock and learning its history completes the story of King Kasyapa and his kingdom at Sigiriya. 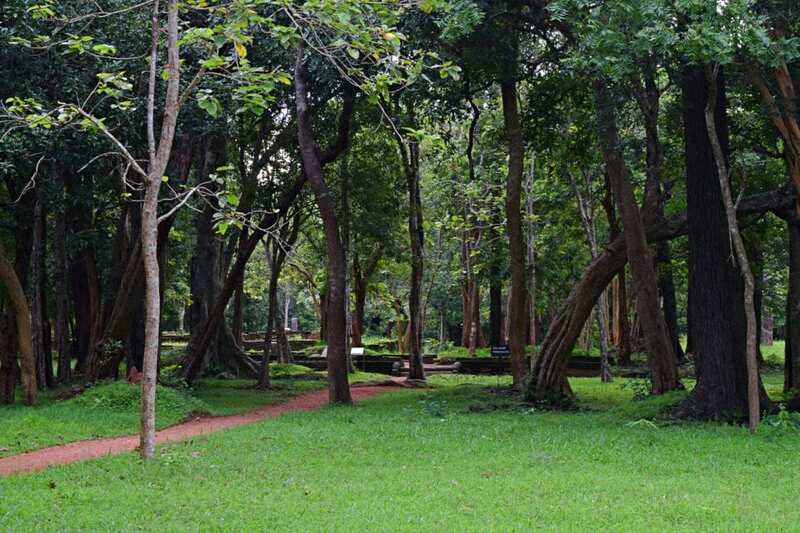 Visiting Pidurangala gives you that secret spice that those thousands of visitors at Sigiriya will not see. I bet you want to know a secret that the masses are missing out on…. Buddhist monks have lived in the caves (rock overhangs) of Pidurangala for centuries, but the first temple was constructed during the reign of King Kasyapa (477 CE – 495 CE). When Kasyapa began construction of his fortress at Sigiriya, he moved the monks (bhikkhus) residing there to Pidurangala. As retribution, Kasyapa built the temple. I put forth a case that Sigiriya and King Kasyapa were strongly aligned to the Yakka Tribe and indigenous religions of Sri Lanka. 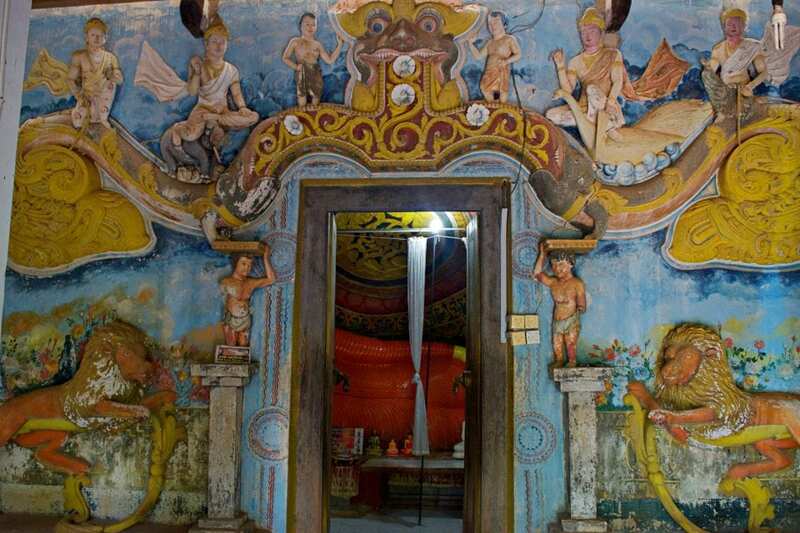 Following that theme, Pidurangala Temple could have been the royal Buddhist temple during the reign of King Kasyapa. 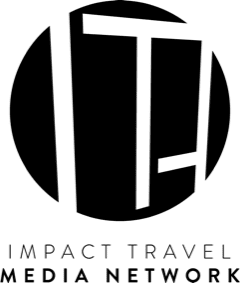 (if you really want to geek out check out our posts – Secrets of Sigiriya Rock: Holy Temple or Pleasure Palace or The Rise and Fall of Polonnaruwa: A Curious Case for Climate Change). Ok, the history lesson is over. Time to continue with the climb up Pidurangala Rock. 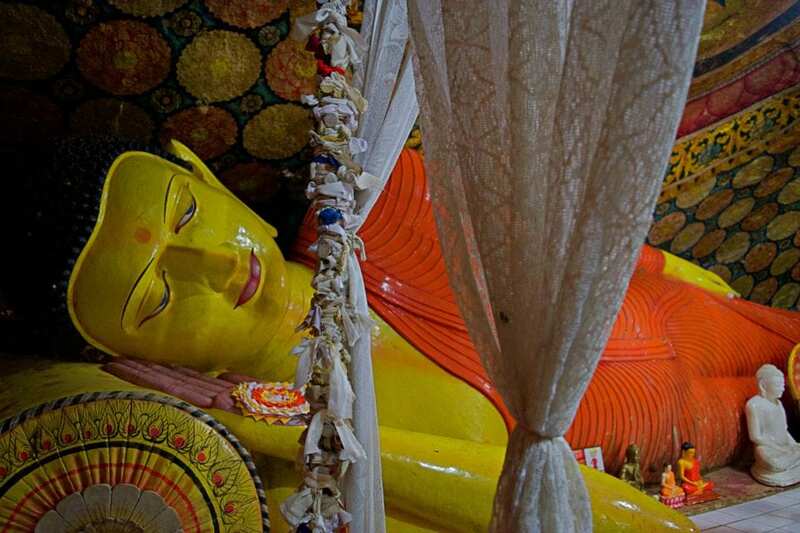 A steady climb takes you from the cave paintings to the reclining Buddha. A heavy tree canopy and light crowds make this an enjoyable hike, especially in the afternoon when the rock shields you from the direct sun. 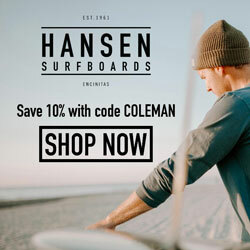 While not a staircase per se, hewn steps are placed where ever you’ll need them. You’ll start to wonder why people make such a fuss about climbing Pidurangala Rock (spoiler alert: it’s coming). After about 30 minutes of pleasant hiking, you reach the reclining Buddha. Along the way, keep your eyes open for the rock overhangs where the monks used to sleep and meditate. The Buddha’s location on this particular portion of Pidurangala Rock is linked to Sigiriya Fortress. This outcropping sits directly across from the Lion’s Paws at Sigiriya at the same elevation. Worshipers, perhaps King Kasyapa himself, would have been able to stand between the Lion’s Paws and pray to this Buddha. In front of the statue sits a fenced off 7th-century inscription that is the namesake for Pidurangala Rock. The text indicates a donation of fields and gold which, in Sinhala, are ‘pidu’ (offering), ‘ran’ (gold) and ‘goda’ (heap) or pidu-ran-goda. Visually, the reclining Buddha ranks as only ok. It’s large enough at 12.5 m but shows signs of recent restoration and never was too ornate. However, the lessons taught here should not be forgotten. The restoration repaired damage caused by treasure hunters in the 1960’s who hacked the head off and carried it away to parts unknown. Without protection and upkeep, the treasures of the world would undoubtedly vanish. 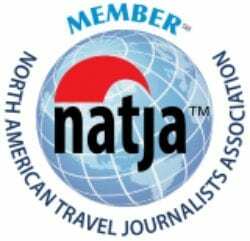 Entrance fees incentivize and facilitate these activities for the greater good. The trail, if you can call it that, changes character dramatically after the Buddha statue. There are no more rock steps. Instead, you’ll have to scramble up and over boulders. It’s a short trip, but much more challenging than the previous section or any place at Sigiriya Rock. Make sure you have suitable shoes for this section and a headlight if you’re planning to climb it before sunrise or after sunset. There is a route to the top that doesn’t have exposure. If you think you have rock climb, keep looking. There is an easier way. We went with a guide from Mahagadera, our Ayurveda retreat in Sigiriya, but we could have found the route ourselves. 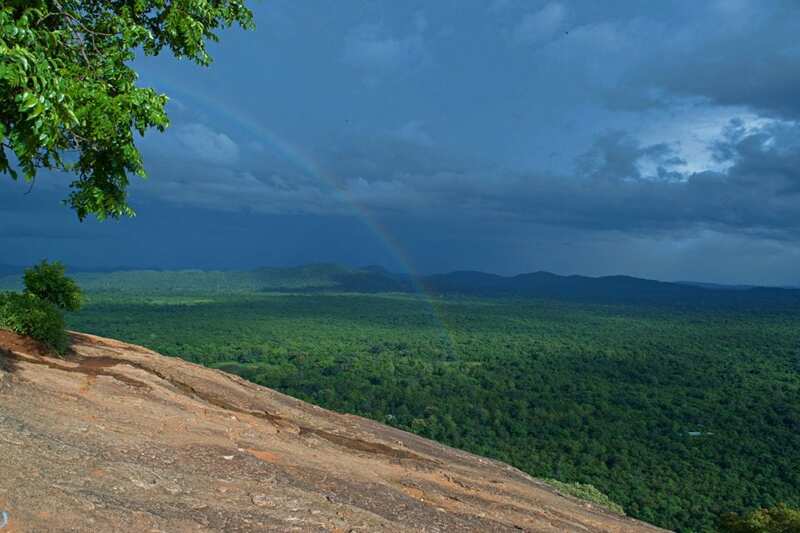 Once you reach the summit of Pidurangala Rock, you are rewarded with the best vistas in Sigiriya. The flat, rock summit gives you views in all directions. This is where you’ll get a classic, elevated view of Sigiriya Rock worthy of Instagram. It’s the kind of picture you could get from drone photography with no need for a drone. Since you can find 360 degrees of views, the summit is a great place for sunrise or sunset too. We ate our snacks, drank some water, and just contemplated life on the summit of Pidurangala Rock. Our trip to the summit of Pidurangala was absolutely sublime. All day, a faint mist and hint of rain lingered in the air. We could smell the storm coming, but it never materialized. Instead of being rained out, we were greeted by a double rainbow at the top. We quickly changed out to our polarizing filter to really bring out the colors. We can’t always promise rainbows at the summit, but you will get Instagramable views that will make all of your friends jealous. We were surprised at how quickly we descended Pidurangala Rock. Before we knew it, we were back at the ticket counter and exploring the archeological site at the base of Pidurangala Rock. Perhaps the most significant building is Kasyapa’s Stupa. 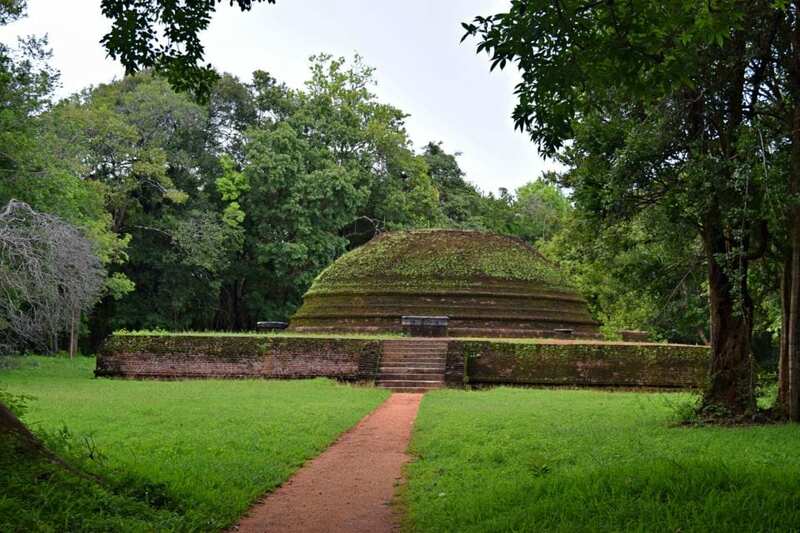 King Kasyapa was believed to have been cremated here, which supports the theory that Pidurangala was the most significant Buddhist temple in the area during Kasyapa’s reign. 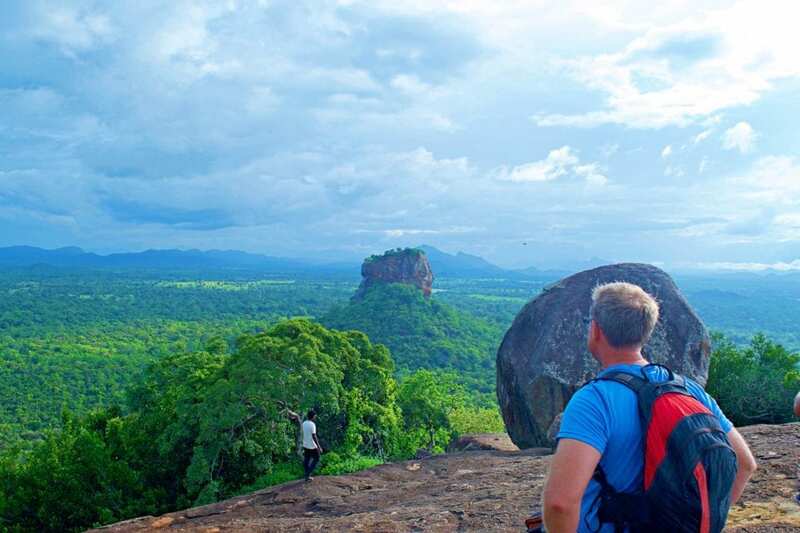 Pidurangala Rock climb – You do not need a rope or technical climbing to reach the summit. There is some scrambling at the end section past the reclining Buddha. Pidurangala Rock sunrise? – Pidurangala Rock is a great place to watch the sunrise. You get to hike in the cool morning and there are 360′ views from the summit. Pidurangala Rock sunset? – Pidurangala Rock is also a great place for sunset. The rock shades you from the afternoon sun on the way up and there are 360′ views from the summit. 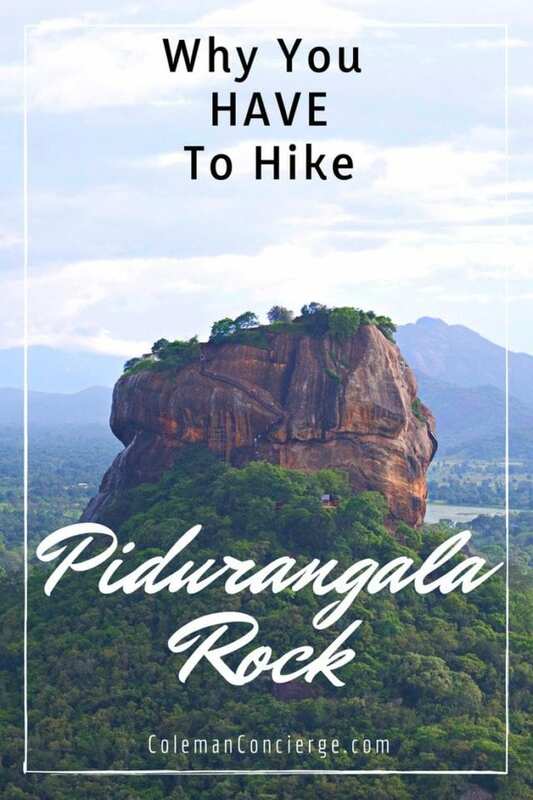 How do you get to Pidurangala Rock – Pidurangala Rock is located here – Pidurangala,Sigiriya, Sigiriya 21120, Sri Lanka but we have attached a map below that shows how you can access both Pidurangala Rock and Sigiriya Rock together. A tour of Sigiriya is incomplete without visiting Pidurangala. 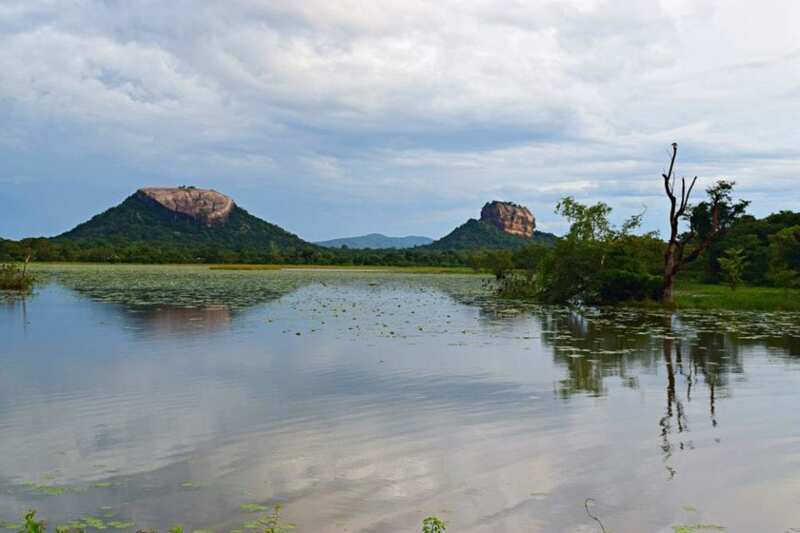 Pidurangala Rock sits in the shadow of Sigiriya Rock but are two halves of the same history. Most reasonably fit people could climb both in the same day, and why wouldn’t you? If you are chasing sunrise or sunset, Pidurangala offers unobstructed views. Our biggest takeaway was just how crowded Sigiriya gets. Plan your visit around the crowds at Sigiriya because Pidurangala will relatively uncrowded even during peak hours. Sometimes, having company at Pidurangala isn’t a bad thing. Watching a group descending from the summit is the best way to find the route up. 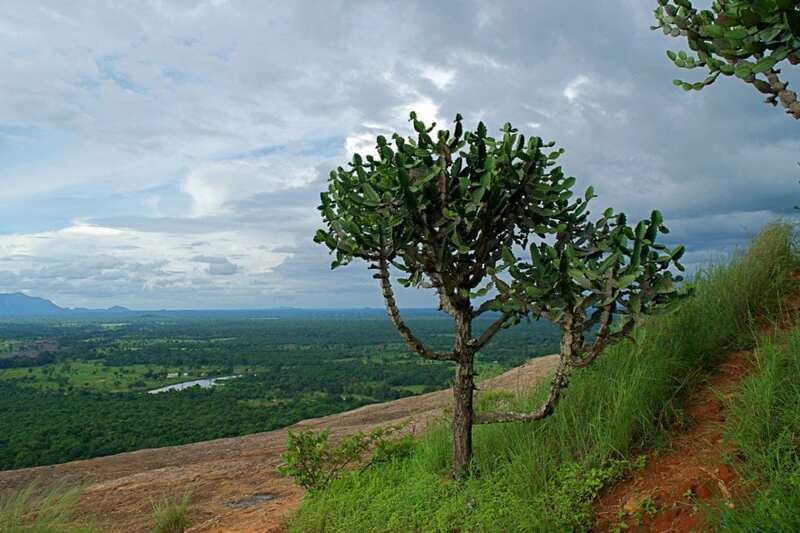 The panoramic views from the top of Pidurangala alone are worth the admission price. 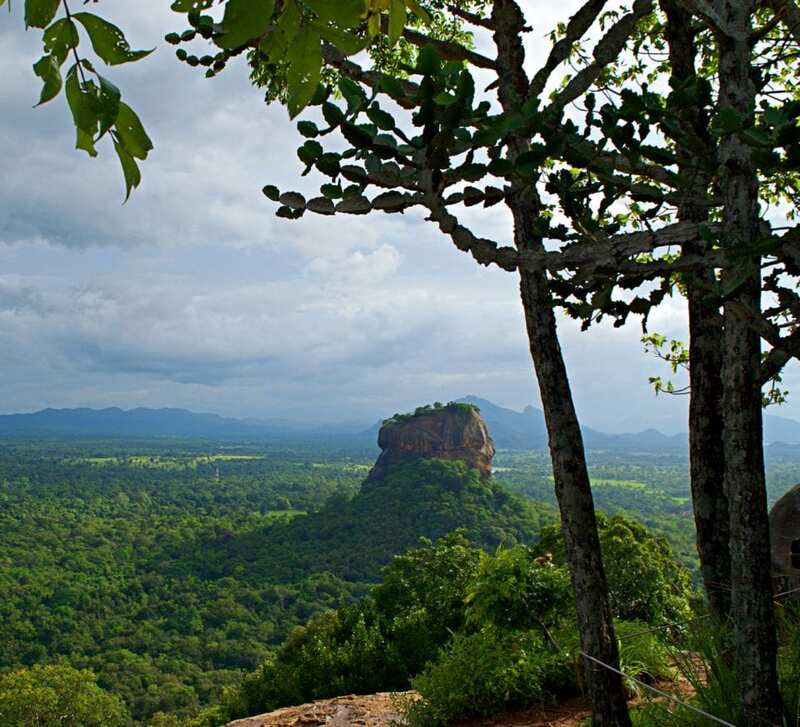 Pidurangala Rock’s two-thousand years of history complements and completes the Sigiriya story. 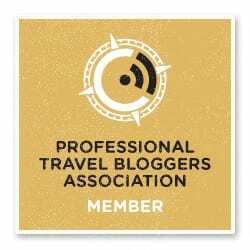 We are definitely putting it into our best of Sri Lanka guide.